GREENEVILLE, S.C. – Jacob Foutz, the 19-year-old Bryan College student fishing his first ever Bassmaster Classic, began the second day of competition with a bang. 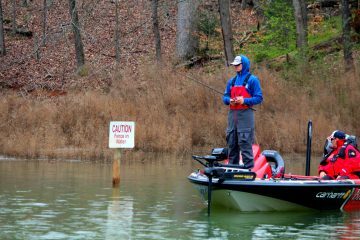 Foutz put five keeper bass, his limit, in the boat between 8:08 and 9:46 am. 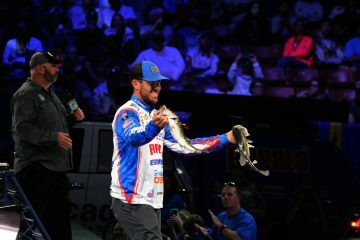 The quick catch propelled him up on the BassTrakk Leaderboard well above the Top 25 cut needed to qualify to fish the final day of competition on Sunday. Then his bite died. Slowly but surely over the next few hours other competitors worked their way up the board knocking Foutz back down. 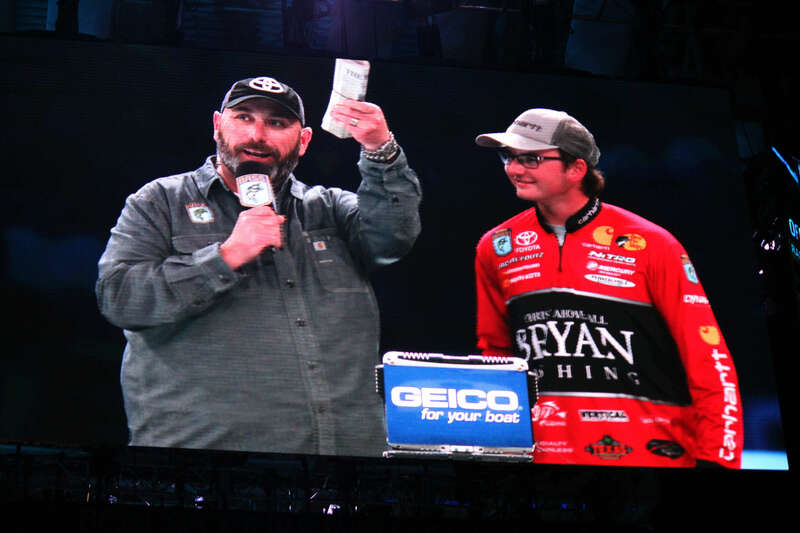 Foutz’s final weight was 21 pounds 6 ounces, ending in 39th place. Jason Christie holds the top spot with 37 pounds four ounces. Foutz is the youngest angler in the field. 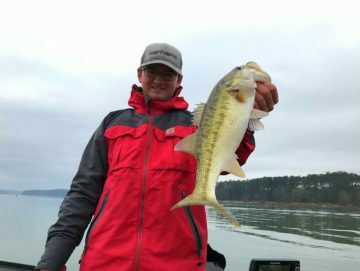 The young man earned a spot in the Classic by winning the 2017 Carhartt College National Championship. You couldn’t see any disappointment on the young man’s face when he took to the weigh-in stage with Bassmaster MC Dave Mercer. Earlier this year Mercer nicknamed Foutz “The Paperboy” because the college sophomore looks so young. 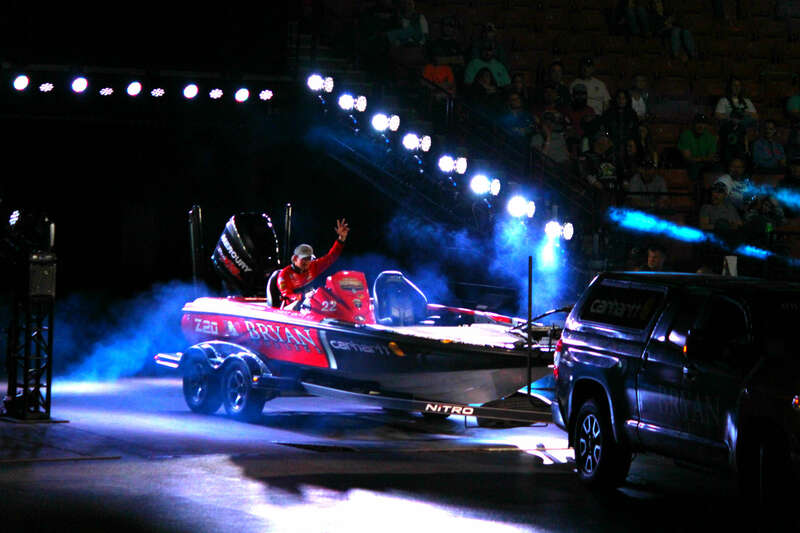 We may have seen the last of Foutz in the 2018 Bassmaster Classic but he insists he’ll be back. 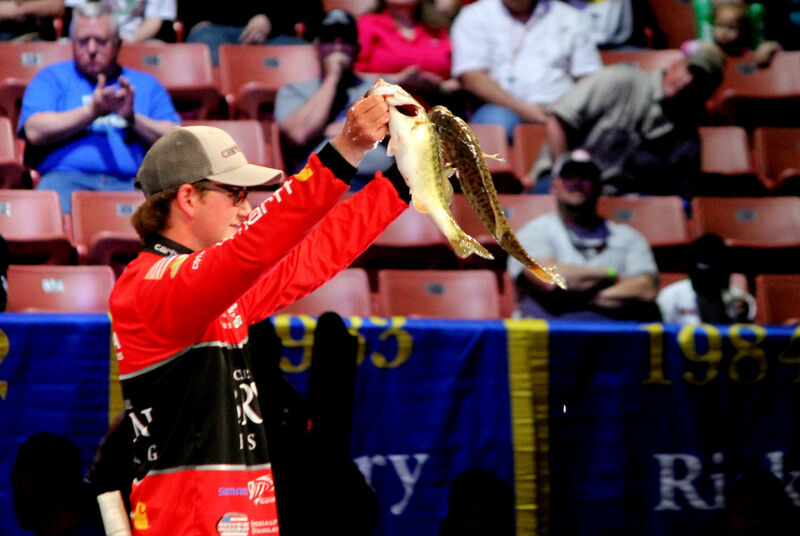 Chattanooga-area anglers still certainly have a hometown boy to root for however. 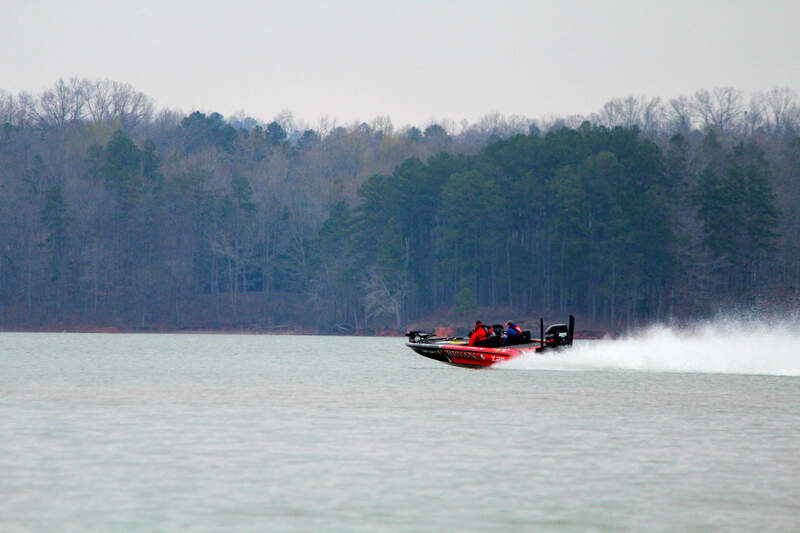 Jacob Wheeler ended Day Two in 7th place, about 6.5 pounds away from leader, Jason Christie. For now, however, Wheeler is focused on what he needs to do tomorrow. “It’ll just take a little bit of luck,” he said. “Today I never caught anything more than a three-pounder. 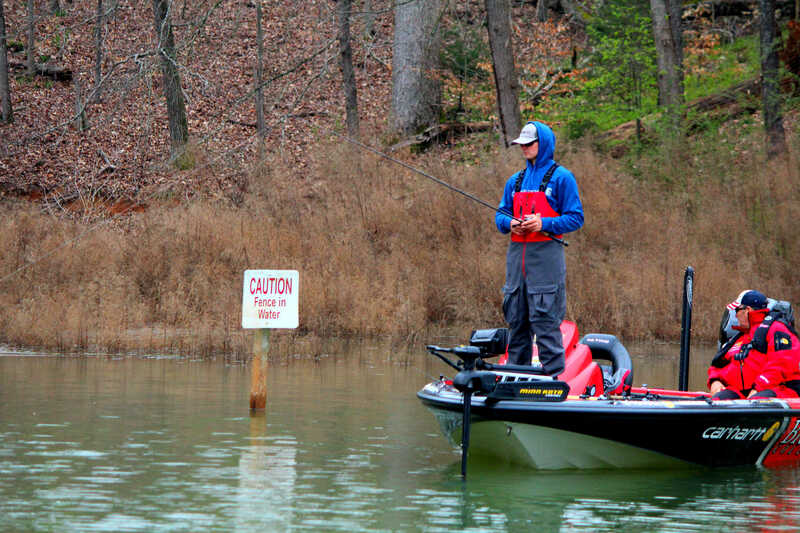 But catch three of those and mix in two six-pounders and you’ve got 21 pounds. I feel like I’m on a good pattern and I’m around some quality fish. I’ve just got to get a couple of those big bites.